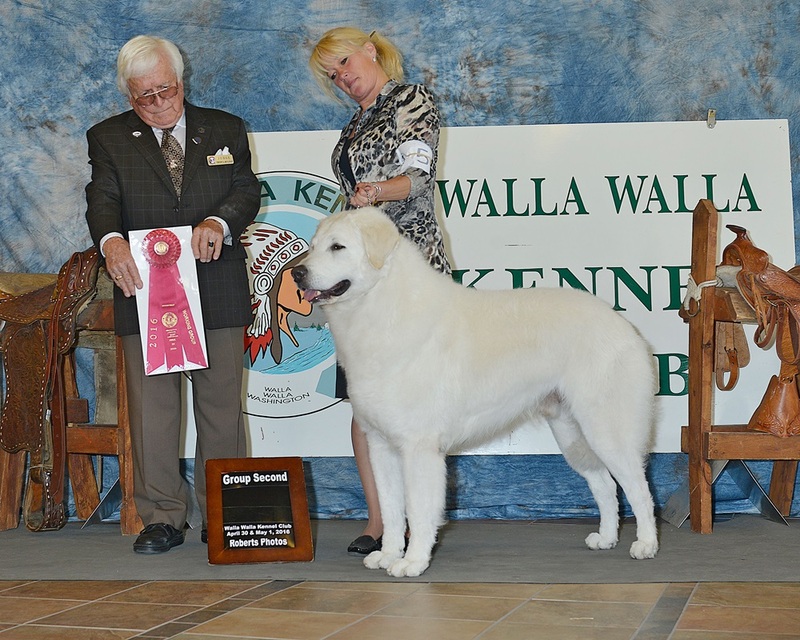 We are pleased to announce, through the loving care and committment to legacy breeding of our good friend THERESA WEBER we hope to have puppies in November 2017. Puppies will be ready for their new homes in January 2018. 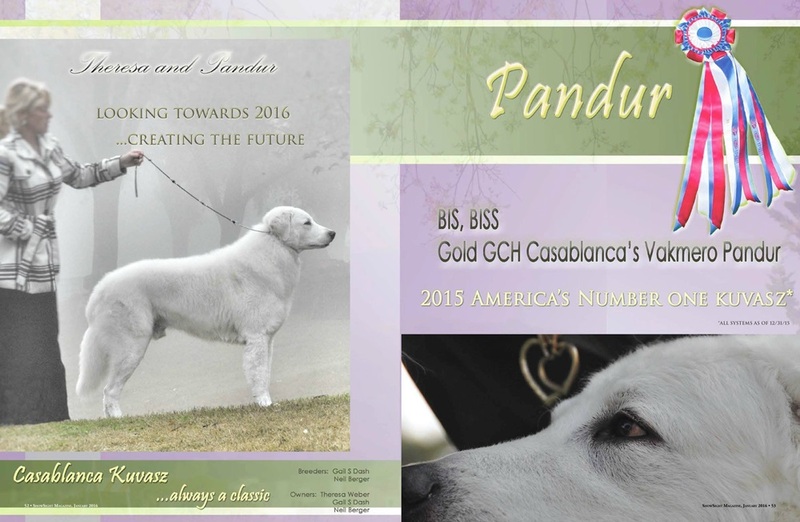 OnyxBay's Casablanca Bridge of Sighs "Brigitta"
All puppies in 2016 litter are placed. please fill out and submit our questionnaire. 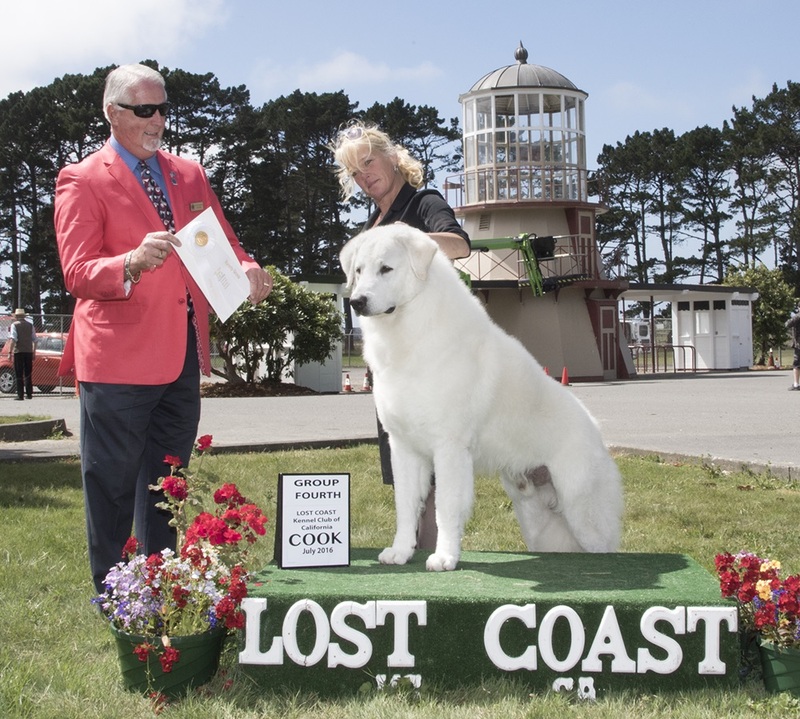 Sat 6/11/2016 Contra Costa County KC, Inc. 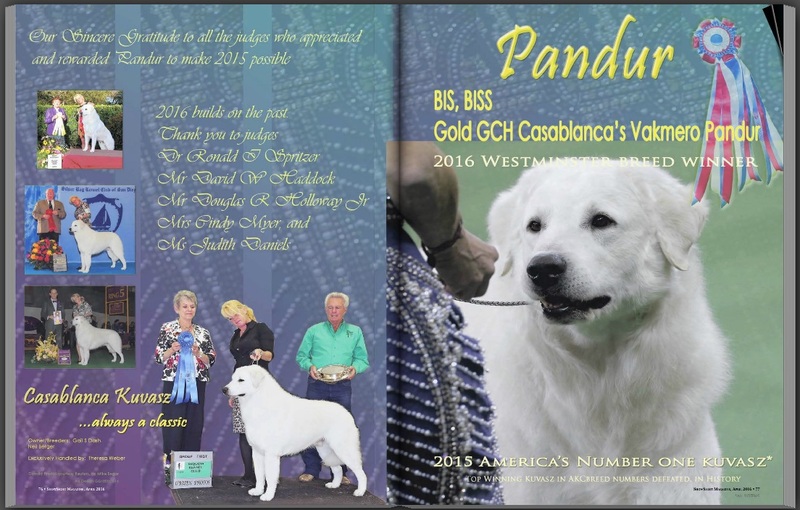 Sat 3/19/2016 Del Sur Kennel Club, Inc.
Thurs 3/10/2016 Sequoia Kennel Club, Inc.
Emma and Pandur's puppies are born! 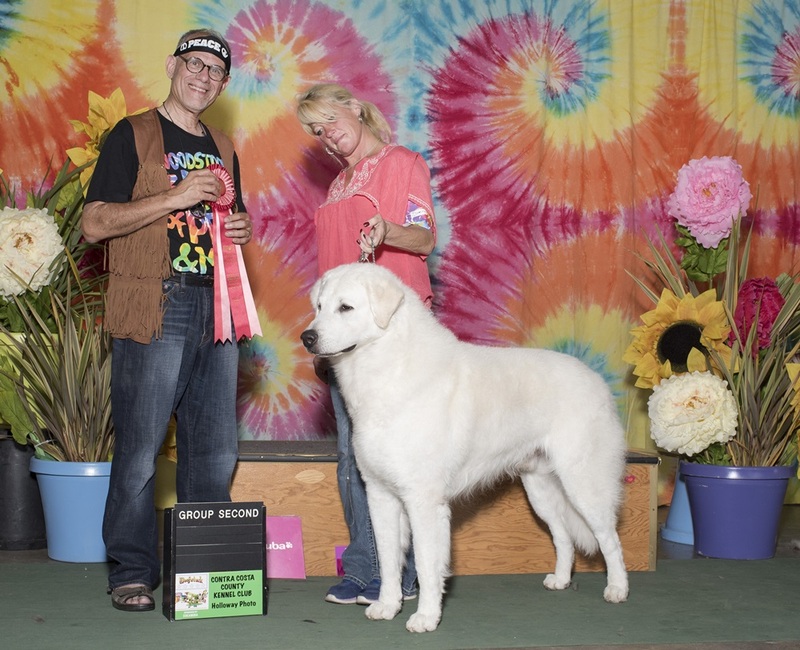 Achieved the GOLD level in Grand Championship points.... only the second kuvasz to do so. 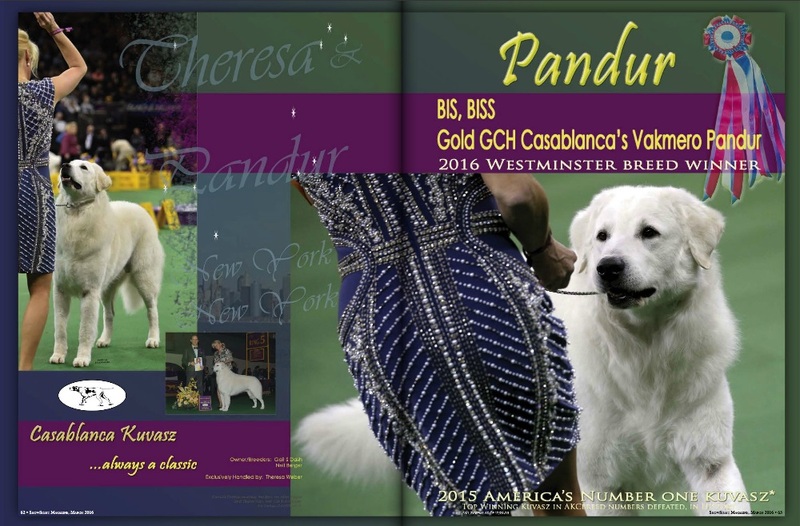 This record breaking year for Casablanca could not have been accomplished without the love and dedication of Pandur's handler and co-owner Theresa Weber as well as the support of friends and exhibitors and of course the judges who rewarded Pandur's qualities. 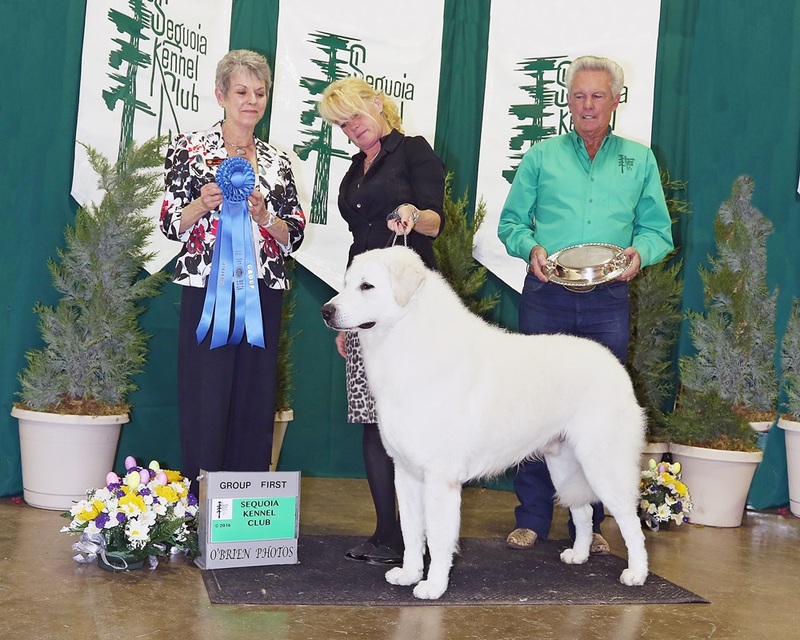 Potential buyers for our Winter 2017 litter are now being interviewed. Kindly fill out and return our questionnaire. 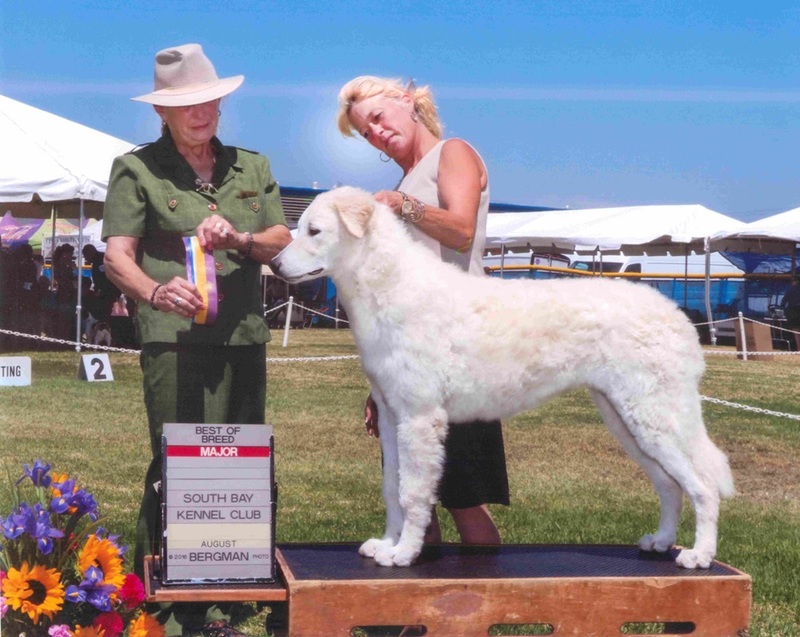 If you would like my free worksheet of questions you should ask of all kuvasz breeders you are shopping, just email me. 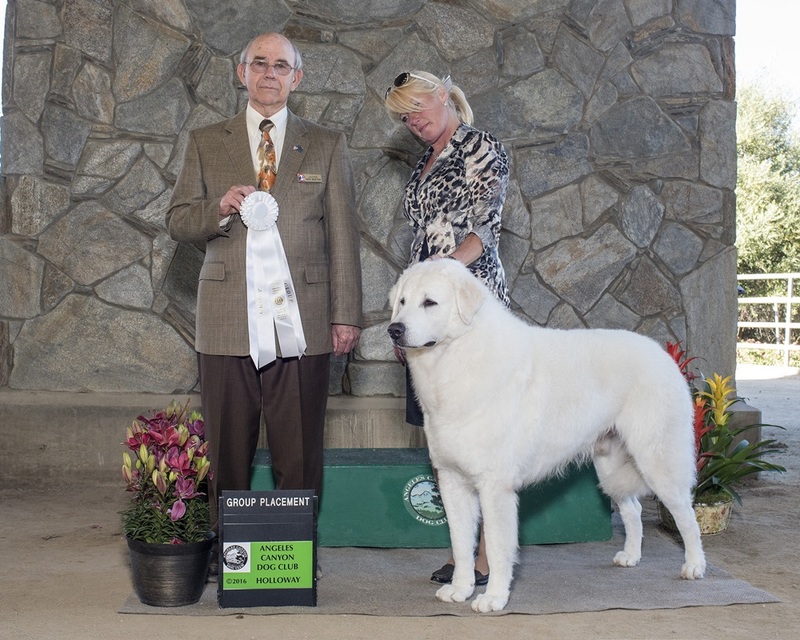 who struggled to keep this breed alive by offering you healthy and authentic type Kuvasz. You may download and print a single copy of this page for your personal use.